When it comes to food-trippin, I must say that Vigan is THE place to be. Northern provinces house the freshest vegetables and the citizens here in Vigan City (called Ilocanos) are one of the BEST cooks in the country. Their delicacies are just irresistible given that they are simple and easy to prepare. I’d like to give a little background about this city known as the “Heritage City”. Famous for it’s Spanish vintage architecture, Vigan is one of the top favorite tourist spots here in the Philippines. From the name itself, Heritage City, you can tell that it is quite rare as it is a World Heritage Site being one of the few Hispanic towns that were preserved here in the Philippines. To give you a better overview of how the town looks like, here’s a photo I took from way back. 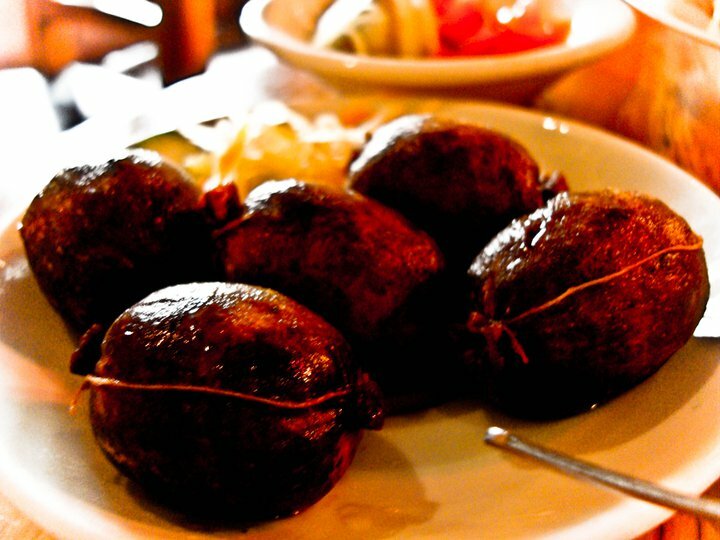 The Vigan Longganisa is one of the trademarks of the city. It’s a small sausage consisting of pork and lots (and I mean LOTS!) of garlic. These are best paired with Rice (as Filipinos love) but they also go well with bread. They usually boil and fry these but it’s also great grilled. 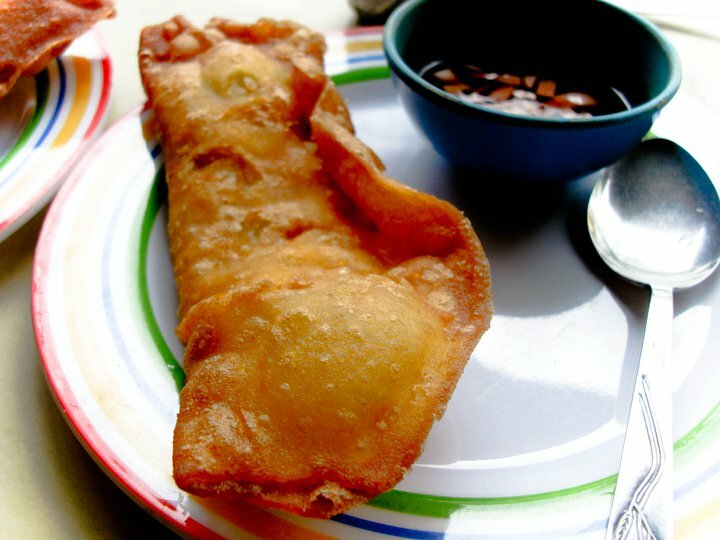 The Empanada is another Vigan specialty you shouldn’t miss on trying. I consider this as one of my favorite delicacies of Vigan and it’s considered as their famous street food. Many food stalls and shops here in the Metro are selling their own versions of this delicacy but still, nothing beats the original. This is mainly consisting of ground pork (or sometimes the same ingredients as the Vigan Longganisa), fresh cabbage (or green papaya), egg, and a wrap that’s made out of rice flour. Some put anatto oil together with the rice flour thus the orange-y color. I’ll take note to post a recipe on how to make one (no worries, it’s easy!). Another trademark is the Ilocos Bagnet. 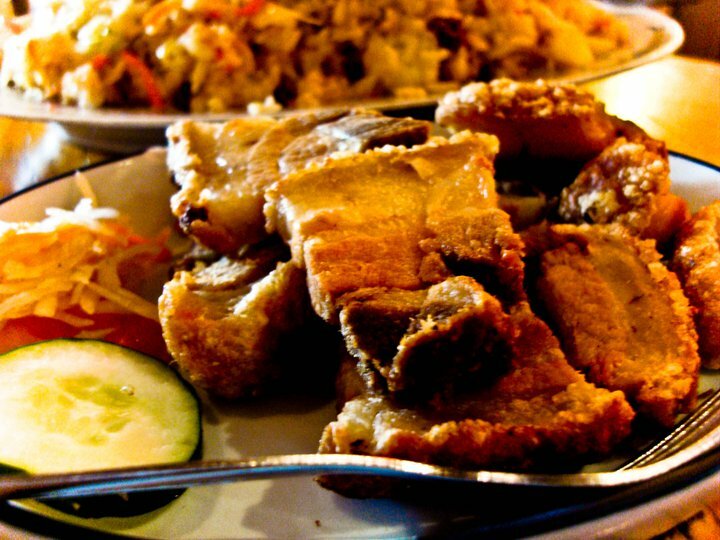 This is simply a double-fried/deep fried pork belly made juicy yet crunchy at the same time. Like the Longganisa, this is also best paired with Rice. 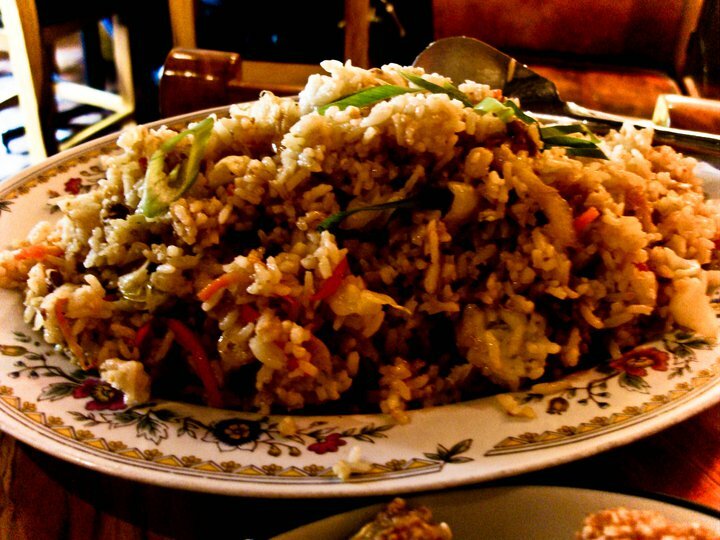 We had the best Fried Rice that we ever tasted in the same restaurant and it went absolutely well with both the Bagnet and the Longganisa. Another way you can enjoy the Bagnet would be with Pita Bread. 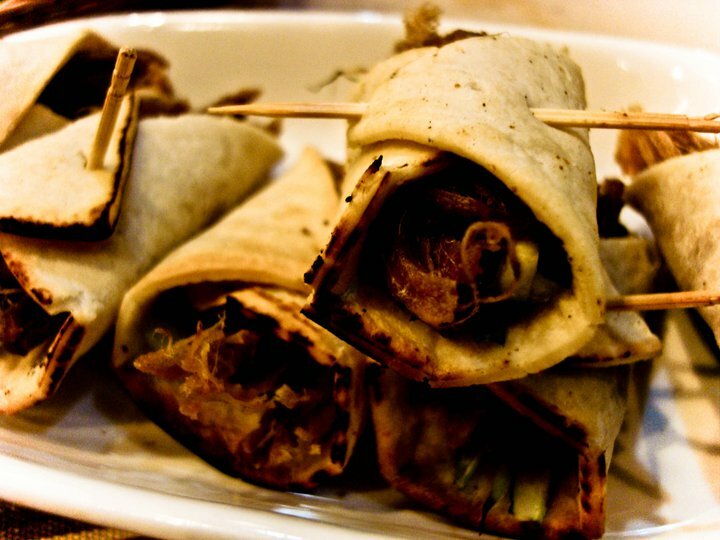 This one was called “Bagnet Wraps” (shreds of Bagnet with cucumber slices wrapped in pita bread with garlic mayonnaise dip.. yum! ).